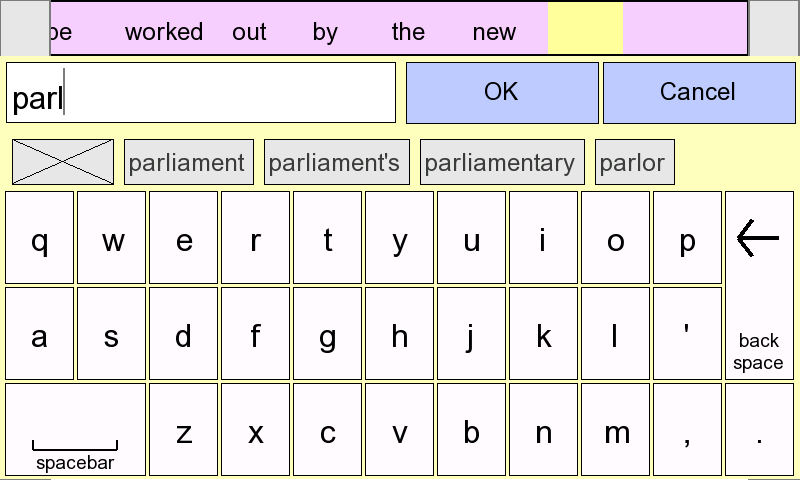 Parakeet is a system for efficient mobile text entry using speech and a touch-screen interface. 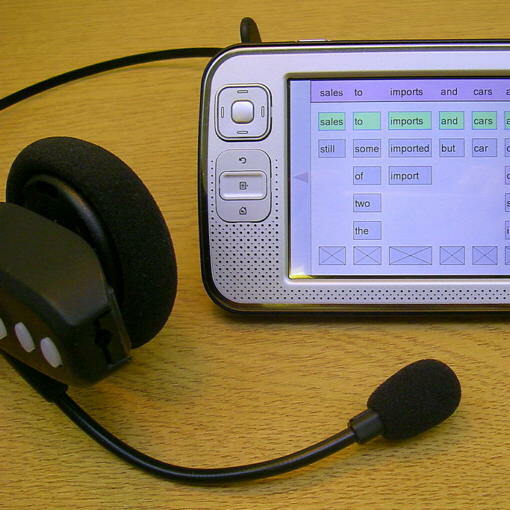 Users enter text into their mobile Linux device (such as the Nokia N800) by speaking into a Bluetooth microphone. The user then reviews and corrects the recognizer's output using an interface based on a word confusion network. We used PocketSphinx for the speech recognition. Details about an initial stylus-based prototype of Parakeet can be found here. This research was funded in part by Nokia. IUI '09: Proceedings of the ACM International Conference on Intelligent User Interfaces, 2009. Featured in The Economist. 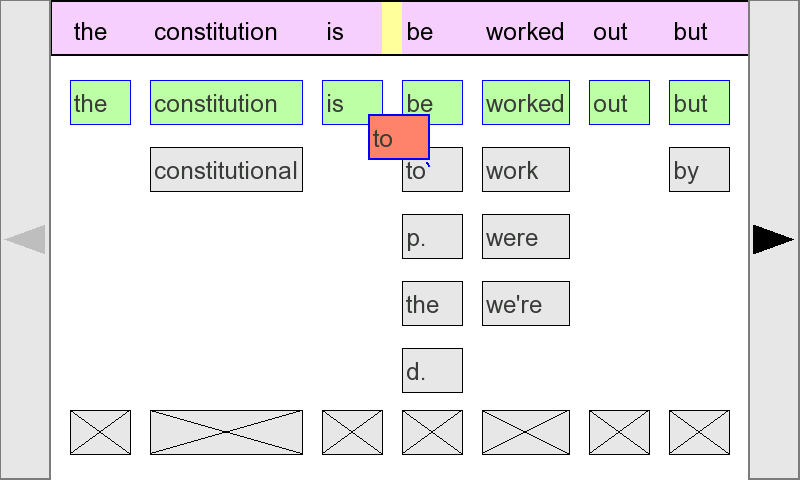 Crossing multiple words at once. 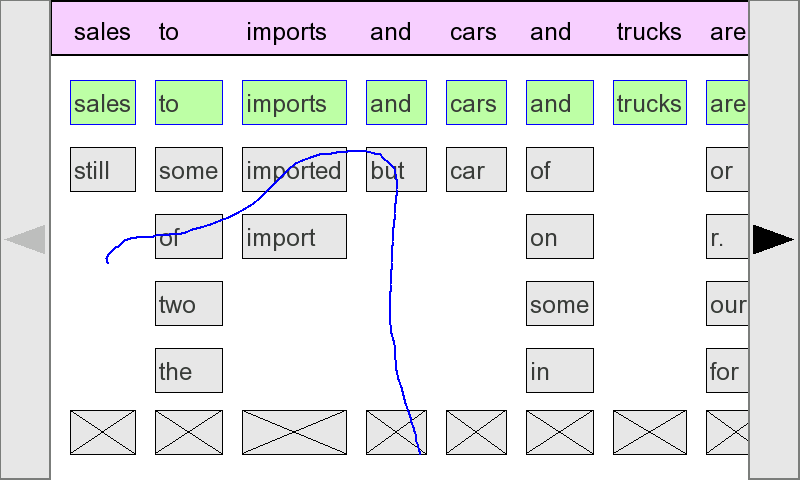 Copying a word between clusters. 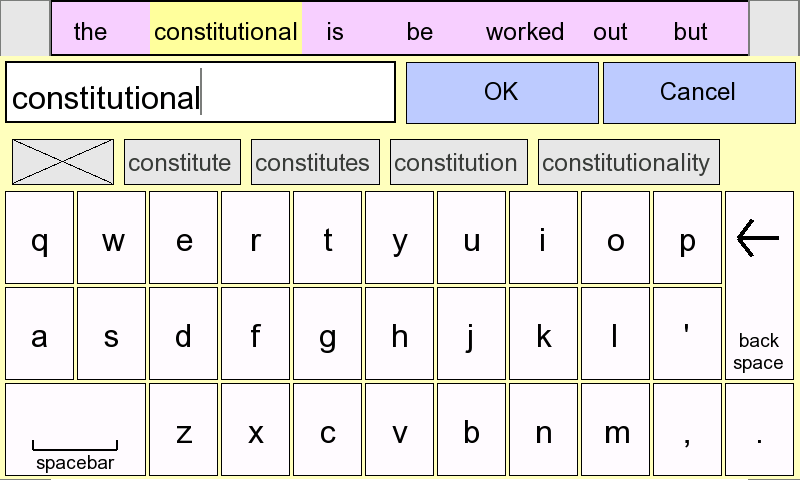 Typing using the predictive software keyboard. Predictions based on morphological variants.